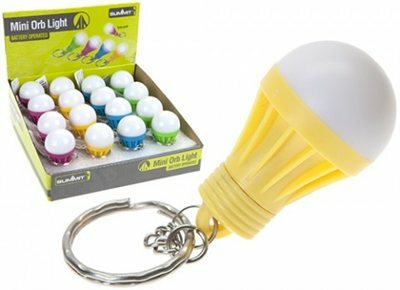 This battery operated mini orb light comes with a handy keyring. The high power energy efficient LED buld can last 100k hours - 10X the life of an energy saving bulb. Activate the light by turning the end clockwise, and turn anti-clockwise to switch off. Attach to a zip, belt loop or rucksack for on the go use. This item comes to us in mixed colour cartons of Pink,Green,Yellow and Blue. If you would like a specific colour then please specifiy in your customer order notes at checkout. Stock depending we will always do our best to get you the colour you ask for.